Getting a flu shot each year is something that’s easy to avoid — you’re too busy, don’t often get sick or generally don’t go out of your way to receive a jab in the arm. But for some, that avoidance is for a reason they might not want to readily admit: They are afraid of needles. While a fear of needles may be most typically associated with children getting their pre-kindergarten immunizations — children in Canada receive about a dozen vaccinations before the age of six — a recent study shows that 25 per cent of adults are afraid of needles too. And for seven per cent of adults, it is their main reason for avoiding the annual flu shot. With the flu season upon us, doctors are urging Canadians to get their shots, to protect against an illness that causes 3,500 deaths in the country each year. But only a little over one-third of Canadian adults got the vaccination during the 2016-2017 flu season. It can also have some potentially huge consequences on public health. 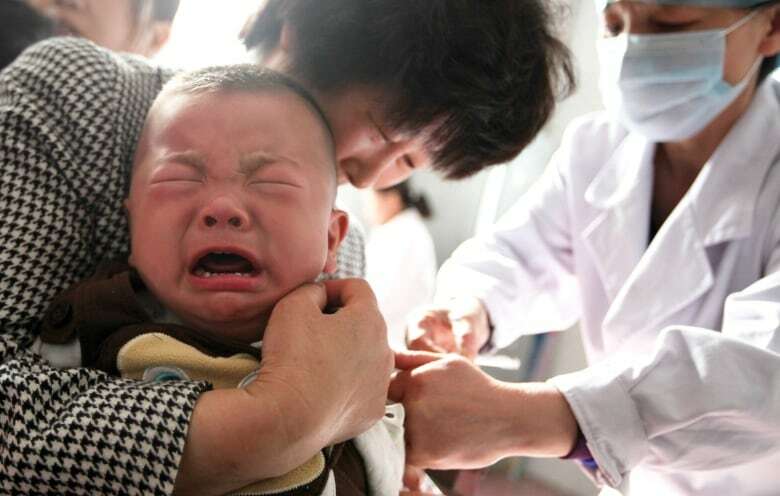 Avoidance of vaccines can lead to greater transmission of illnesses or pathogens in the community, the postponing of blood tests can lead to diagnosis delays, people may dodge dental work until a crisis happens, or they may refuse to donate blood — all due to a fear of needles. At first glance, 48-year-old Dennis Gillis doesn’t seem like someone who would have a needle phobia. But the engineer, longtime runner and father of three has lived since childhood with a fear of needles, which is formally known as trypanophobia. That fear has made the Halifax man avoid flu shots for decades, and his blood work requisitions have been collecting dust. Children in Canada receive about a dozen vaccinations before the age of six. For many, the fear of needles links back to a traumatic experience in childhood. (AFP/Getty Images)? Taddio, an expert in children’s pain, is currently leading an interdisciplinary team studying pain management during vaccination. She recently received a $ 1 million grant to support her ongoing research into how to reduce fear of needles in youth. Much of the research on the memory of pain and trauma explores how fears can develop in childhood, and get reinforced in adulthood through behaviours like avoidance. “What avoidance does, in the long term, is to fuel the fear and makes it worse. Most adults with needle fear can link it to a bad childhood experience,” said Dr. Melanie Noel, a psychologist and assistant professor at the University of Calgary whose research is focused on children’s anxiety and memories of pain. Although almost all scientific literature about the prevention and management of needle phobia involves children, Noel says there is no reason to think that topical creams and anxiety-control methods, such as relaxation, meditation and distraction, couldn’t help adults too. The research has simply not been done yet. Many barriers stand in the way of convincing people of the importance of managing needle-related pain and anxiety, Noel said. 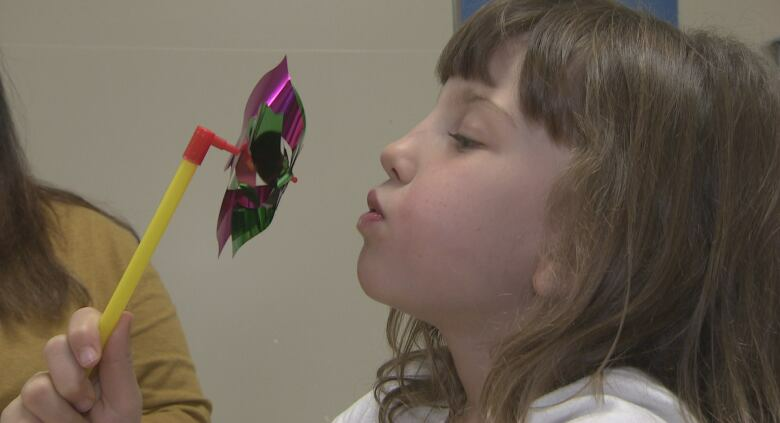 “I have been accused of creating a generation of wimps,” said Dr. Christine Chambers, a clinical psychologist and professor at Dalhousie University, who has done extensive work in the field of pediatric pain, including around needles specifically. Chambers was the driving force behind the “It Doesn’t Have to Hurt” campaign, which launched in 2013 with a goal of improving pain management for children. Chambers is currently collecting data on coping strategies used by adults during needle procedures to fill what she says is a gap in the research. “There is a difference between managing pain and fear,” she said, noting that already-available solutions often aren’t used. While some patients fear the pain, others fear the needle itself, says Taddio, who suggests that the phobia should be addressed head on. Noel suggests health-care providers can do three things — before, during and after an injection — to help with needle anxiety. “Offer relaxation, to give the tools [they need] to feel in control. Manage the pain, to help with the pain experienced and buffer the scary memories. And reframe the memory by asking positively focused questions, showing the control the person had [at the time] and catching exaggeration,” she said. Slow, deep breathing, the use of guided imagery (such as visualizing a happy place), and distraction tools (like playing a game on a smartphone) are all simple techniques that can help decrease the anxiety and pain associated with a needle procedure. Parents also can guide their children through some of those techniques, using props like pinwheels, bubbles, books and tablets. After all, pain and trauma-free needle experiences in childhood, combined with education on coping strategies, will go a long way toward helping future generations not be afraid of getting their necessary shots later in life. Becoming a father has also changed his priorities, he said, as he realized he had to get over his fear so he could stay healthy for his children. Situations like that only fed his anxiety, he said, making it worse for the next time he faced a needle. As with many medical issues, prevention is often the best medicine.